MORRISTOWN, N.J. (CBS/ AP) Polly want a cracker? 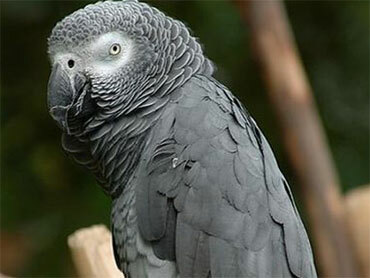 It might be an annoying phrase like that, that cost an African gray parrot its life last year. A New Jersey man stands accused of shooting and killing the pet bird with a BB gun because he was maddened by the animal, and the noise it was making, while he was watching a NASCAR race on TV. Dennis Zeglin, of Randolph, was indicted on an animal cruelty charge by a Morris County grand jury Tuesday. The charge carries a maximum penalty of five years in prison and a $15,000 fine. Zeglin, 67, allegedly shot the parrot, named "Mikey," three times on June 7 of last year. His wife called police when she saw that the bird had been killed. Zeglin's attorney, Stephen Fletcher, said his client was intoxicated at the time and afterward received treatment for alcoholism. He said Zeglin regrets the incident and hopes to be accepted into a pretrial intervention program.